Indo-Canadian Media: Reporter’s Firing Stirs Backlash in B.C. The current debate begs this question: If broadcasters wish to air programs that discuss South Asian issues from a South Asian perspective, does that breed ethno-cultural ghettos here? According to Singh, the conventional media has perpetuated this notion. 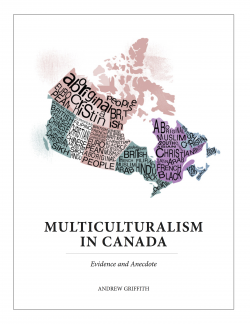 “If the ethnic media is supposed to play the role of integrating new Canadians into the mainstream, they too have the same responsibility. Diversity of voices is completely missing from mainstream media. All they do is highlight the negative stories emerging from the South Asian community and no effort is made to talk of the positives,” said Singh. Diversity of voices is completely missing from mainstream media. Many radio listeners agree. “Debates on topics of religion, Indian politics and other social issues are shallow with the prejudice of the hosts clearly reflected in program content. It is somewhat irritating when you listen in to an open line talk show. There are a handful of people, mostly men, who are on all radio stations giving their opinion without facts on every possible topic,” said a Surrey-based doctor who didn’t want to be named. According to experts and some broadcast managers, this largely happens because there aren’t many professionally trained journalists in the South Asian media. “I can count on my fingertips how many trained and experienced journalists or radio hosts our community has, and since there aren’t too many available to hire, we have to depend on in-house training, but it’s not the same,” said Dutt. Reporter’s Firing Stirs Backlash in B.C. – New Canadian Media – NCM.